OSHO International and Google entered into an agreement which will significantly expand the OSHO International channel on Google’s popular YouTube video site. Viewers can expect more, longer and high quality video programs featuring excerpts – or in the future full length programs – of the popular OSHO TALKS. The channel gives now access to Playlists, sorting videos by categories or subject. 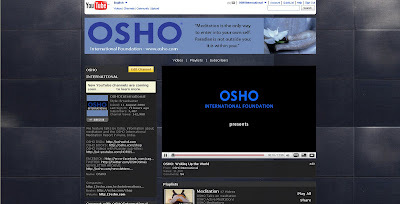 Osho International will add more videos with sub-titles in multiple languages. Subsribers to the channel receive automatic notifications of updates and the channel and individual videos can be embedded into private blogs and websites of users.